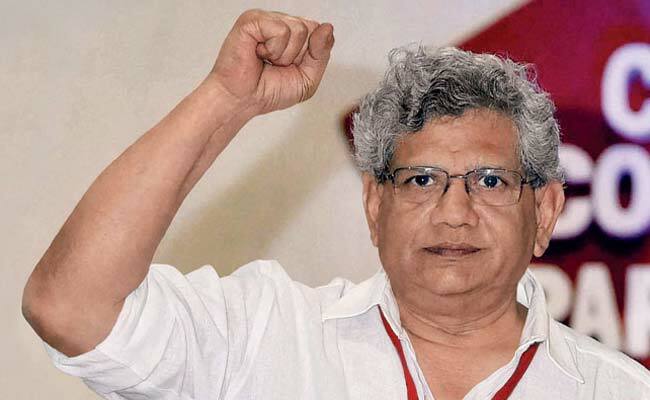 New Delhi: Communist Party of India (Marxist) leader Sitaram Yechury today said Defence Minister Nirmala Sitharaman's statement on the Rafale jet fighter deal has raised more questions than answers. He said he wanted to know why comparative prices between the earlier scrapped deal for 126 fighter jets and the present one for 36 aircraft had not been shared. "The Defence Minister's press conference raises more questions than it answers about the Rafale deal. Why have comparative prices not been shared, as the Modi government claims it bought Rafales cheaper?" Mr Yechury tweeted. "Was there a CCS meeting held and approval given before Modi announced buying of 36 Rafale fighters in Paris on his own in April 2015?" he said. Mr Yechury asked why there was no transfer of technology clause in the deal for the 36 Rafale jets. "Modi boasts about 'Make in India' but signs a deal with France which includes no transfer of technology. Is this his 'Make in India'?" he said. Ms Sitharaman in a press conference on Friday had dismissed the Congress' charge of irregularity in the deal for buying 36 Rafale fighter jets off-the-shelf from France, and claimed it was cheaper than what was negotiated under the previous multi-role combat aircraft (MMRCA) deal under which 126 fighter jets were to be bought. Ms Sitharaman said no procedure was violated in the deal that the NDA government signed, and that it was inked after clearance by the Cabinet Committee on Security. She said the deal was signed in September 2016, almost one-and-a-half years after Prime Minister Narendra Modi made the announcement in Paris in April 2015. Ms Sitharaman said transfer of technology in a deal for just 36 fighter jets was not viable.